The GOP’s healthcare failure has not derailed market sentiment about fiscal stimulus it has temporarily modified it. For now, with the pendulum of U.S political momentum having swayed in favor of ‘gridlock’ continues to hamper the “big” dollars natural progress and pressure both bond yields and equity prices. However, in relatively quiet trading, that pace of decline has subsided somewhat overnight. To reignite capital markets bullish momentum investors will want to see concrete details about U.S tax reforms, infrastructure spending and deregulation. Remember, legislative gridlock stateside is not unusual, just look to the final years of the Obama administration, yet the stock market and the U.S dollar performed somewhat admirably. U.K. Prime Minister Theresa May will tomorrow formally trigger the start of two-years of Brexit negotiations with a letter announcing Britain’s planned withdrawal from the EU. 1. Global equities stop the bleeding The selloff in riskier global assets has eased, with most equity markets resuming their upward trajectories as the dollar steadies after U.S stocks staged a recovery on Monday. In Japan, the Nikkei share average rebounded (+1.1%) from a more than six-week low overnight as a rally in the yen (¥110.66) paused and investors bought high-yield stocks before they went ex-dividend. The broader Topix gained +1.3%. In Hong Kong, stocks resisted China’s downdraft and followed Asia higher on cautious hopes that U.S. President Trump would eventually be able to pass his planned economic stimulus policies. The Hang Seng index rose +0.6%, while the China Enterprises Index also gained +0.6%. In China, stocks fell overnight on concerns about tightening liquidity conditions after the People’s Bank of China (PBoC) refrained from injecting short-term funds into the banking system for the third consecutive session. The blue-chip CSI300 index fell -0.2%, while the Shanghai Composite Index lost -0.4%. In Europe, equity indices are trading generally higher across the board. Banking stocks are mixed in the Eurostoxx, while commodity and mining shares support the FTSE 100. U.S stocks are set to open little changed (+0.1%). Indices: Stoxx50 +0.3% at 3,446, FTSE flat at 7,294, DAX +0.6% at 12,067, CAC-40 flat at 5,017, IBEX-35 +0.4% at 10,346, FTSE MIB +0.4% at 20,205, SMI +0.2% at 8,611, S&P 500 Futures+0.1%. 1. Oil rises on weak dollar, but bloated supply still weighs, gold steady Currently, oil prices are being supported by a weaker dollar, but these prices gain are somewhat capped by surging U.S production and market uncertainty over whether an OPEC-led supply cut is big enough to rebalance the global market. Prices for front-month Brent crude futures have gained +18c from Monday’s close to +$50.93 per barrel, while West Texas Intermediate (WTI) crude futures are up +20c at +$47.93 a barrel. Note: The greenback has lost -3% in March vs. G10 currencies on U.S political doubts. Soaring production stateside and packed inventories have made U.S WTI crude much cheaper than international Brent, which is being supported above $50 per barrel by last Nov. OPEC-led output cut. Note: Last weekend, an OPEC and non-OPEC Joint Compliance Committee agreed to review whether oil output cuts should be extended by six-months. They stopped short of an earlier draft statement that said the committee recommended keeping the Nov. measure in place. Ahead of the U.S open, gold prices (+$1,253.83) are steady as investors look to see if President Trump would be able to enact promised tax cuts and infrastructure spending. Note: The ‘yellow’ metal has already rallied sharply from its Mar. 15 low ($1,197.18) following a less-hawkish-than-expected policy statement from the Fed. The uncertainty surrounding the Trump administration’s ability to deliver on policy proposals is weighing on investor expectations for higher U.S interest rates. Bets that the Fed will raise rates in June have fallen to +48.5% from +54% on Friday. Also, the market is pricing in a +52% chance that the Fed will raise rates at least two more times this year, compared to +55% on Friday. This week’s supply concentrates on shorter-dated U.S Treasuries, which explains why short-term product is underperform longer-dated bonds. Despite lower yields, foreign demand for yesterday’s $26B U.S 2-year auction (+1.26%) was the highest since Feb 2016. A proxy for foreign demand, indirect bidding, was +53.6%. The bid-to-cover ratio (overall demand) was 2.73 vs. the average of 2.64 for the past six-sales. Note: The alternative product for the Euro investor is the German 2-year Schatz, but the similar maturity currently has a yield below zero (-0.71%). U.S 10 year notes are little changed, up +1 bps at +2.39%. With the U.S dollar having weakened to a four-month low amid fears the Trump administration won’t be able to deliver on its policy goals has volatility (Vols) in some major currency pairs trading atop of their multi-week highs. Implied volatility for JPY over the next-month has risen to its highest level since March 3. Implied volatility in the EUR is at its highest level since Feb. 23. While GBP is little changed week-over-week, despite the pound topping £1.2600 yesterday for the first time since Feb 1. Note: U.K. Prime Minister Theresa May will tomorrow formally trigger the start of two-years of Brexit negotiations with a letter announcing Britain’s planned withdrawal from the EU. 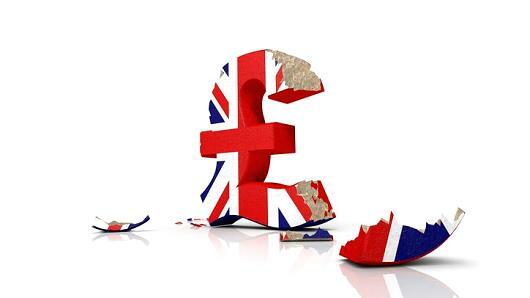 EUR/USD is steady at €1.0860, USD/JPY at ¥110.65 and GBP/USD moving back towards the psychological £1.26 level. 5. Rand Collapses As Zuma Threatens to Sack Finance Minister South Africa’s rand (ZAR) took another tumble overnight when President Zuma’s suddenly decided to recall his finance minister, Pravin Gordhan, from London. Investors are viewing this as a sign of escalating tensions between the two. Note: The general feeling is that the only thing standing between South Africa and a multi-agency downgrade of its sovereign debt to junk status is Mr. Gordhan. The ZAR lost more than -2% to $13.0968 outright, after having dropped -2.4% yesterday in its steepest intraday loss in six-months. Yields in dollar-denominated sovereign debt and local government benchmark bonds also jumped. Prior to this drop, the currency had gained +9.5% year-to-date, making it a top EM performer.